West Coast League commissioner Rob Neyer announced this morning that the league’s 2019 All-Star Game will be played at Vince Genna Stadium, home of the Bend Elks. The exact date for the annual mid-summer classic will be released along with the full 2019 WCL schedule in the fall. 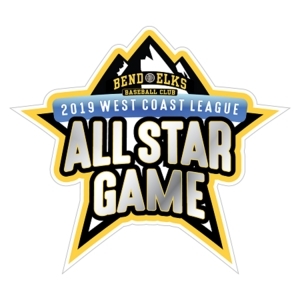 The 2019 WCL All-Star Game will be the 12th in the league’s history and the first hosted by Bend. 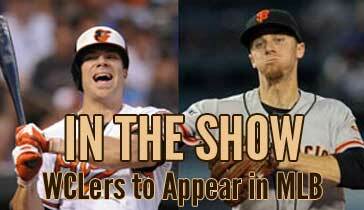 Each summer the showcase event features over 40 of the WCL’s top players in the league’s annual exhibition. “We are so excited to be hosting the 2019 West Coast League All-Star Game in Bend. This will be Bend’s first time hosting the All-Star Game and it is a great way to celebrate our 20th year as a team. Bend is a wonderful place to spend your summer and we cannot wait to bring the best West Coast League players, staff, and fans here for a few days next summer,” said Kelsie Hirko of the Bend Elks. The 2018 WCL All-Star Game took place last week in Port Angeles. The North Division topped the South Division 10-6 at Civic Field on Tuesday night. Kyle Schimpf (Port Angeles) of the North and Cesar Lopez (Walla Walla) of the South were named co-MVPs. Port Angeles slugger Ron Brown from the University of Houston won the Saltwater Splashdown on Monday, July 16, the league’s annual home run derby. The Port Angeles Lefties put their own unique spin on the event, hosting it at Hollywood Beach with participants blasting home runs into the water. Ticket information for the 2019 WCL All-Star Game will be released at a later date. For more information, please visit www.bendelks.com or call (541) 312-9259.